Plumbing Repairs in Cleveland, TN | Where Did My House’s Calm Go? Posted on December 4, 2018 at 9:26 am. One thing that all working men and women crave after long, tiring days and coping with all the noise outside is returning to a calm and quiet home. In fact, calm homes have become quite a luxury and it is something no one will ever want to compromise on. Nonetheless, there are some indoor problems that can cause homes to be awkwardly noisy and are treatable unless of course, it is the children or toddlers making it. Jokes apart, more often than not, it is the littlest things that have the most impact on spoiling your house’s feel and comfort levels. And as much as these problems are mistakable, they can be identified and treated to restore the calm. Your plumbing system can be the sole culprit behind the noise that you are observing in your home. It could be a leaking tap or faucet, hustling pipes, or rotten structures in the plumbing network that could be causing the noise that is bugging you. Majorly, there are two types of noises that faulty plumbing system can cause including the usual sound that pipes when water flows through them, and/or what is commonly known as ‘water hammer’ that results in a loud banging sound in copper piping systems when water pressure increases. Regardless of the type of sound in your home, you must not delay hiring a local plumber in Cleveland, TN to keep the damages from worsening. Wondering how can you make an appropriate choice when hiring a plumber in Cleveland, TN? We have got you covered. It is imperative you hire an emergency plumber in Cleveland, TN as soon as you start hearing sounds like those mentioned above. This is because leaving the pipes and the plumbing network unattended can result in extensive damages and even emergencies that can be life-threatening. But before you hire a professional for plumbing repairs in Cleveland, TN, ensure you are sure of the following. It is important to know about the qualifications of the technicians you are hiring to ascertain that the job they will do for you will be satisfactory and deliver the results you are expecting. Qualified plumbers in Cleveland, TN are those have received formal certifications in the field and know about all the ins and outs of plumbing. They will even be able to cope with any mishaps or emergencies regardless one arises while they are still there at your home or that they are specifically called for emergency purposes. Before you finally hire a plumber in Cleveland, TN, ensure they are a registered company. A registered company implies the technicians can be trusted and are known for high-quality repairs, unlike local handymen who are good at fixing things temporarily and fleeing after getting paid. Companies that are professional and registered will likely be insured too but you need to recheck this as insurance can save you from bearing huge losses. The companies basically have insured personnel and provide services that are backed by guarantees to ensure you are not held accountable if anything goes wrong while the experts fix things up for you. Without this feature, there is a high risk of you having to bear unnecessary costs and even being conned by forging incidents that you, as a homeowner, might be held accountable for. It is important to choose a plumber in Cleveland, TN, who will be available to help you out regardless of what day or time it is. Plumbing problems and emergencies don’t come announced. 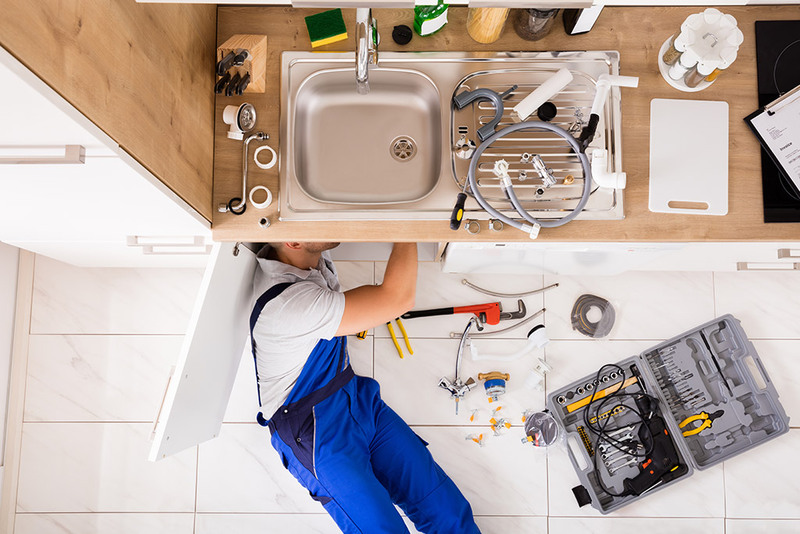 In fact, they mostly occur at the most inconvenient times and this is the reason you should check the availability of the plumbing service that you are hiring. You obviously can’t for 8 hours for the service provider to begin its operations if there is a pipe in your house that is heavily leaking; or can you? This is a safe, reliable, and easy way to figure out the reputation and quality of the plumber in Cleveland, TN that you are hiring. Ask people around you for recommendations or simply ask around about who they are considering hiring. Apart from this, don’t forget to check the reviews on the website of the provider to see what their customers have to say about them. And lastly, just to further be sure of the choice you are making, check any reliable public forums to see what everyone is saying about them. But remember one thing; one bad review doesn’t mean a plumber can’t be hired and likewise, even a provider with the majority of good reviews can turn out to be disastrous sometimes. So, ensure you read between the lines and do whatever it takes to get accurate results. Websites tell a lot about businesses. They, in fact, represent businesses and this is the reason you must not hold back from visiting the website of the plumber in Cleveland, TN, which you are considering. Check the website thoroughly to make the decision easier. If the website is neat, user-friendly, transparent, and includes how-to tutorials and blogs, the company can be hired. Why? Because it’s clear they care about their customers and are trying to make things easier for them. But will you have enough time on your hand to always research before you call a plumber for help? No, you will not! For this reason and more, it is a smart and safe choice to do the necessary homework beforehand and have a plumber in Cleveland, TN selected far before you actually need them. And in case you are too lazy to do the research even now when you aren’t facing a plumbing emergency, Metro Plumbing is a name you can fully trust. The provider has served numerous clients throughout its tenure so far and is widely known for the quality of services being provided. Visit the website for more information or to schedule an appointment now!